The occupation of Iraq’s Mosul is under American guidance, so naturally they don’t want to reveal the sort of atrocities that are happening against innocent civilians there, Paul Antonopoulos, Deputy Editor, Al-Masdar News, told RT. 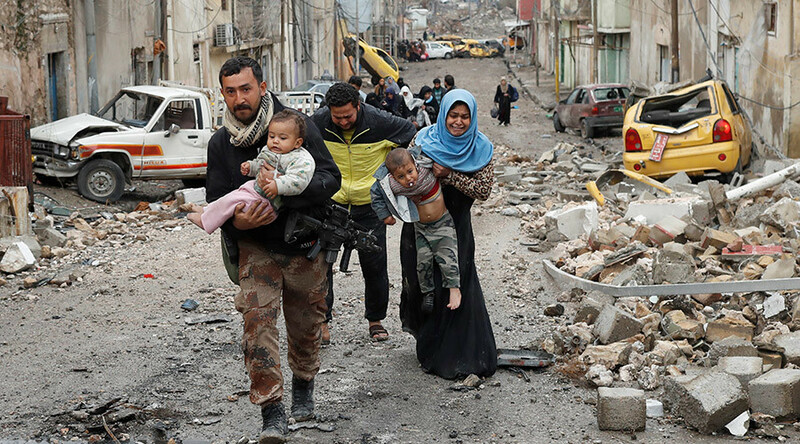 Thousands of civilians are fleeing the city of Mosul on a daily basis, according to the UN. The intensified fighting between US-backed Iraqi forces and ISIS led to an increasing number of civilian casualties. 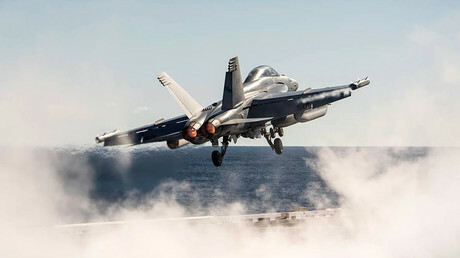 The Pentagon confirmed coalition warplanes had killed 21 locals both in Iraq and Syria in the month of January. It also said 220 civilians were unintentionally killed since 2014. RT: The battle against ISIS in Mosul has moved to urban areas now. How likely is the number of casualties to increase as Iraqi forces push deeper into the city? Paul Antonopoulos: As the battle intensified it is only inevitable that there will be greater casualties. Now, we know only yesterday ISIS attempted a counter-attack against Iraqi forces and they preempted their attack with nine suicide bombers - nine bombers using vehicles to blow themselves up. So with this sort of indiscriminate bombing from ISIS it is only inevitable that there will be many more casualties. Also the airstrikes don’t make any sort of distinction between where civilians are and ISIS frontlines. So we’ll only see more civilians being killed in the pursuit of wiping out ISIS. RT: It's estimated that over 45 thousand people have been displaced in just the last nine days alone as they flee the fighting. Why are there still no humanitarian corridors set up for them? PA: If we use Aleppo as a sort of comparison, Syrian largest city, we saw humanitarian corridors opened up. But this was with very careful negotiations between the Syrian government and the Russian government with the terrorist forces. When we’re talking about Mosul, however, we know that ISIS is always unwilling to negotiate with the government, whether it be in Syria or in Iraq. This makes it almost impossible to open up these humanitarian corridors. However, we must question: has the Iraqi government or the US made any sort of attempts to negotiate with ISIS to allow civilians to flee? RT: We heard from people on the ground that they are fleeing both terrorists and US-backed forces' airstrikes. However, the mainstream media seem to ignore the strikes. Why so? PA: … The occupation of Iraq’s Mosul is under the guidance of the US so naturally they don’t want to reveal the sort of atrocities that are happening against innocent civilians. It goes against all sort of narratives that the US are more humanitarian focus, as if compared to the Russians, who in Aleppo just indiscriminately bombed several last hospitals. It goes against all sorts of reports that keep coming out. RT: Russia has been accused of committing war crimes in the Syrian city of Aleppo, but the situation in Mosul is quite similar to that in Aleppo. Why isn't the coalition being blamed for civilian deaths from the airstrikes? PA: It is almost an identical situation between Aleppo and Mosul. Of course there are some differences. However, the most important part is that Russia is the big bad part of the world right now that the US cannot contain. They are supporting the Syrian government, which again the US is trying to remove. What is happening in Mosul right now, as I said, is under the guidance of the US. So they’ll always lay accusations against Russia and what they are doing in Aleppo. However, if we just speak to the people of Aleppo, they’ll always praise the Russian involvement in the liberation of that city. However, as your correspondent in Mosul - just speaking to the people - he revealed that they are equally terrified of the US airstrikes. So why this isn’t covered by the mainstream media, it only questions the motives.